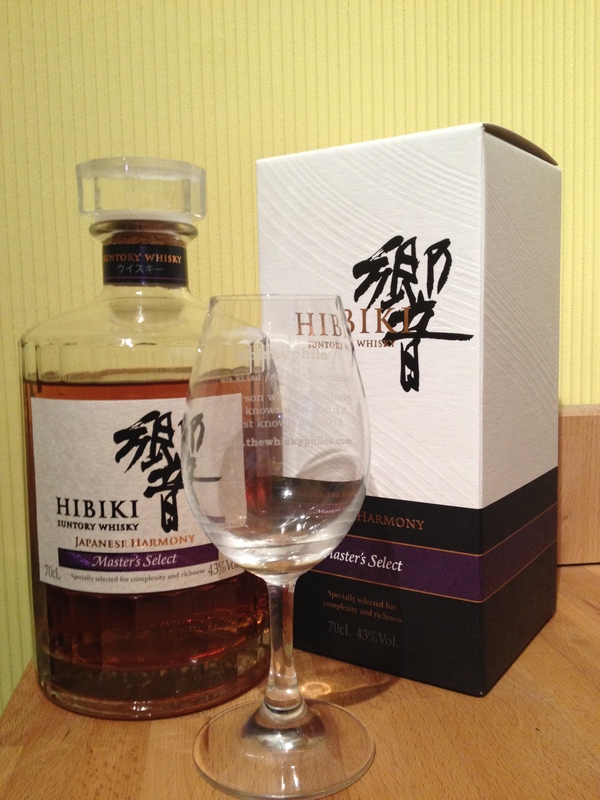 Hibiki was created to be the paradigm of the Suntory blend. The Name Hibiki literally means “resonance” in Japanese, and reflects the Suntory Corporate philosophy to “live in harmony with people and nature.” Hibiki celebrates Japanese nature and the subtleties found in the 24 seasons of the traditional calendar, reflected in the 24 factes of its bottle design. Hibiki is a harmonious blend of innumerous malt and grain whiskies from Suntory’s distilleries, which are meticulously blended to create a full orchestra of flavours and aromas. Deep harvest gold in colour. An initial scent of tart fruits, soon merging into baked apples and orange zest, with a trace of vanilla on a faintly tropical-floral base. A drop of water adds a hint of oak shavings. A smooth texture, with a sweet apricot start, drying in the warming, spicy finish. At reduced strength, the taste is more tart, with a slightly charred, oaky aftertaste. Following the recent release of the Hibiki Japanese Harmony NAS (No-age statement) blend from Suntory to add to their 12, 17, 21 and 30 year old aged Hibiki blend line-up, this limited Travel Retail Edition was launched. Having just sampled the Hibiki Japanese Harmony I was curious to try this TRE to see how it compared. Nice blended Japanese whisky, a definite improvement over the standard Hibiki Japanese Harmony blend. This Master’s Select expression has a touch more oak wood and a good chocolate component though occasionally it was overpowered slightly by the spiciness of the oak wood. I’m sad that this is the new mid-range Hibiki offering. The 17-year was one of the most gorgeous all-around whiskys I’ve known. This one has a great nose but a completely flat character. Bring back the age statements!